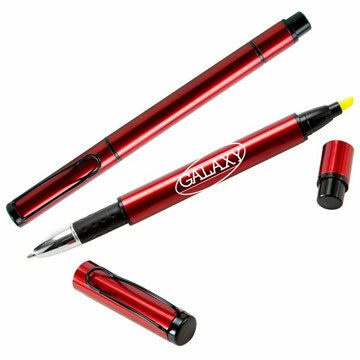 A great value dual-purpose product, the Dynamic Highlighter Pen offers exceptional value for money! Metallic coloured barrels with a distinctive black clip to complete the contemporary design. Ballpoint pen with a bright yellow highlighter at the top.